Join our Temple Israel Community! Taught by Rabbi Alvin Mars. A close reading of the second book of Torah through the lens of rabbinic commentaries and our own emerging insights. 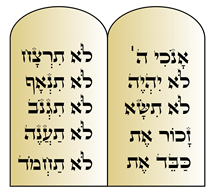 Barbara Dowell teaches the basics of the Hebrew language. Temple Israel's 4th Annual Mitzvah Day!